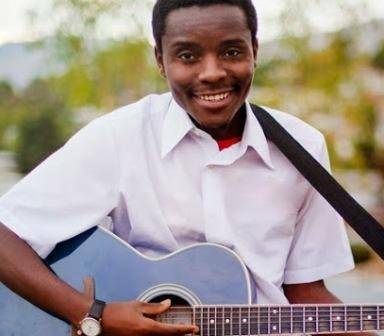 Malawi’s music talents exhibition platform is finally knocking on the door in the company of its pedigree at M Theatre, Chichiri Shopping Mall in Blantyre. A total of 14 contestants are expected to show Malawi which area of music is their expertise in front of a panel of judges led by veteran Marvin Hanke. In an interview with Malawi24 yesterday, E-Wallet project coordinator Anthony Kafuwa revealed that all is set for the much anticipated local music contest. “We are set for the launch on Saturday and it will start at 8pm sharp, we are selling 250 seats only, all VIP and are asking patrons to dress in smart casual,” said Kafuwa. Namadingo: To inspire the contestants. At the show, local celebrated gospel artist whose ‘Msati Mseke’ hit has been enjoying massive media coverage, Patience Namadingo will be the guest artist. Namadingo has also played a vital role in glooming the contestants through provision of vocal training alongside Chancellor College music lecturer, Alinafe Mphande. The organisers have also considered their Saturday night audience through negotiating with shop owners at the Mall to extend closing hours for their shops and to adjust commodity prices to the satisfaction of the contest’s patrons. This year’s episode is going to be very competitive taking into consideration the Nissan Tiida prize that will be presented to the winner. This is happening for the first time in the country and the organizers say they are delighted to be pioneers. Malawians who are not privileged enough to be present at the occasion should not worry since two local televisions station Times and Zodiak will cover the event. Entry tickets are now available at Kips restaurant situated at the Mall and are going at K5000.